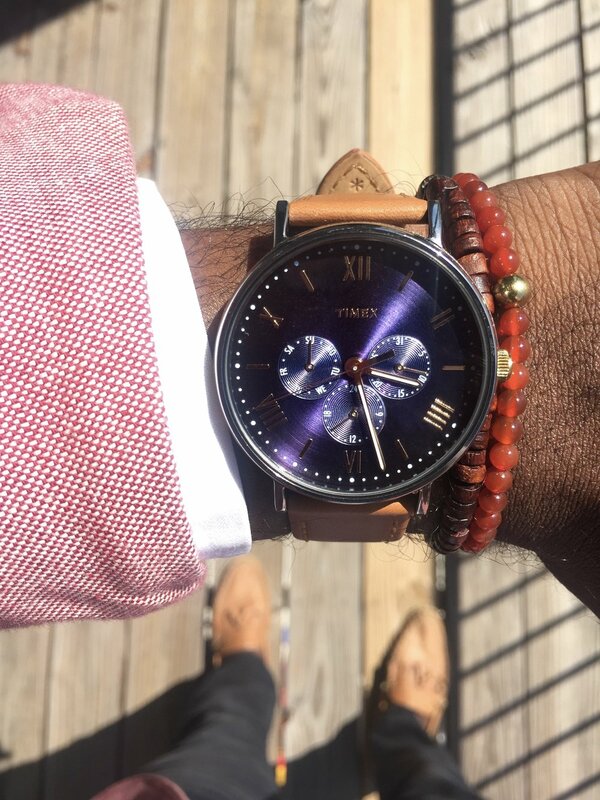 Back for Fall, I partnered with Timex to showcase another classic timepiece. Check out the collaboration with Timex below. This fall Timex sent over the Timex MK1 Aluminum watch in a brown with a subtle hint of green. The MK1 is one of their iconic styles with a case that is constructed out of a lightweight aluminum. The NATO strap adds to that fall camper look that the face and dials offer. The Timex MK1 Aluminum features some nice touches and features. The domed lens is unique and the INDIGLO light-up is actually pretty cool. It is a very good casual watch that will match perfectly with my fall looks. So this will definitely not be the last time you see it. This new @Timex watch with the tan leather band and navy face was exactly what I was missing in my watch collection! This opportunity came right in time for the start of Spring and fulfilled a necessary role in my collection. A timepiece that fits perfectly into my lighter, more colorful spring wardrobe was needed. The Timex Southview Multifunction is that timepiece. Timex's Southview Multifunction features a vibrant navy face in a silver 41mm case. Within this machined-finish navy face are cream colored numbers and dials. What makes this watch perfect for spring is the light tan band that anchors it all together. Featuring these must-have watches from Timex this fall and spring was pretty fun. It is always rewarding to incorporate notable brands into my looks featured on Greg's Style Guide. Timex has a myriad of watches and you can always find one that will help you achieve the season appropriate looks that you want. 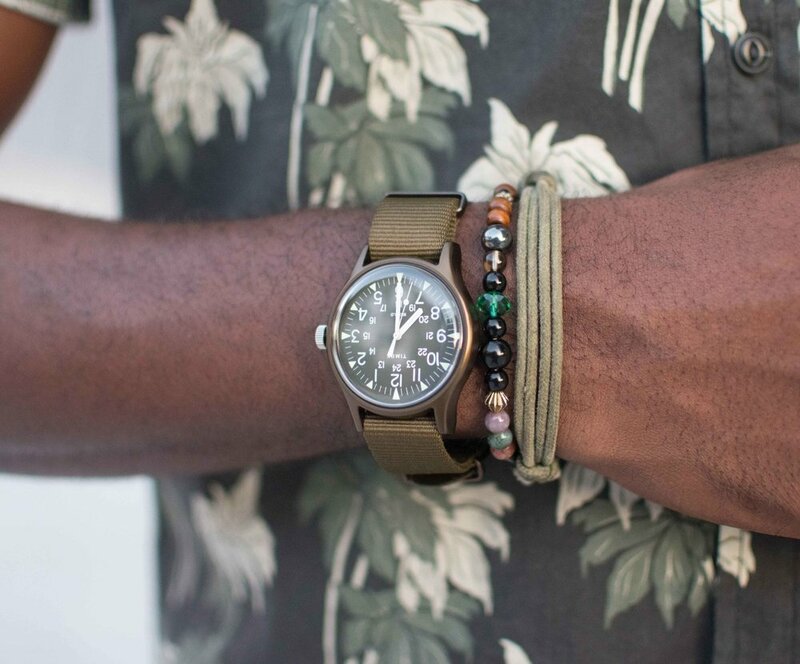 As you can tell from dapper to outdoors-ey, I’m not sure if that is even a word, Timex has a watch for you.